Right from the start Chesky Records had a sound. David Chesky set out to make “aural photographs” of each session, capturing as much of the sound of being there as the technology allowed, continually pushing it forward. Every note of every session was recorded “live,” there were no overdubs, no fixing it in the mix. What went down at the session, with some of the world’s greatest musicians, was in the CD, LP, or later on, high-resolution digital download. 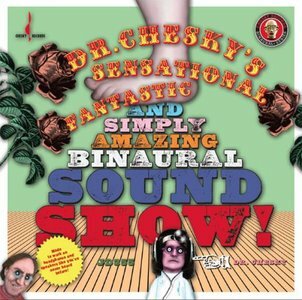 Chesky Records would like to introduce its new Binaural+ Series. Binaural sound has been around for a long time, but until now it was just for headphones and could not be enjoyed on speakers. Our Binaural+ Series recordings sound great on headphones and speakers, and capture the sound of music as you would if you were sitting in front of the band. The Binaural+ Series sessions were recorded in high-resolution 192-kHz/24-bit sound with a special Binaural head (a “dummy” human head with specially calibrated microphones where the ears would be). 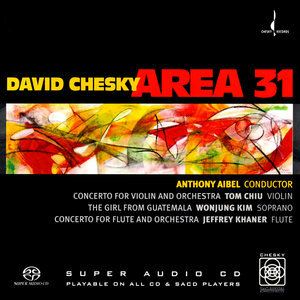 David Chesky, born in Miami in 1956, settled in New York City in the 1970s and now identifies himself as an "urban orchestral composer." His Urban Concertos, of which he has written nearly a dozen, constitute his most substantial output. In the program notes for this recording of three of his concertos, he wrote, "Perhaps one can say my style is neo-impressionist. But I do not live on some quaint idyllic country farm, I live in the city that never sleeps! It is a hard-driving concrete jungle that pulsates around the clock." "Pulsating" is an apt descriptor for Chesky's music, which is notable for its restlessly high energy and rhythmic propulsiveness. 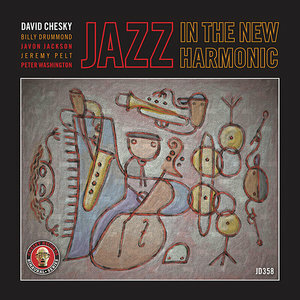 With "Jazz In The New Harmonic" David Chesky fuses 21st century classical harmonies with his city's rhythms to create a new genre of jazz. The album liberates the pulse, soul, energy, and groove from past traditions, it's the first encounter with the transcendental music of our age. 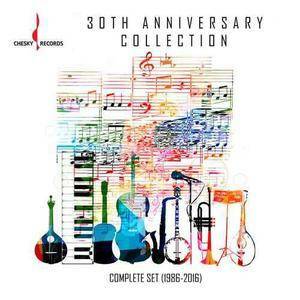 Chesky is a first class provocateur, and his 21st century classical harmonic approach kicks into high gear with his streamlined New York groove machine. 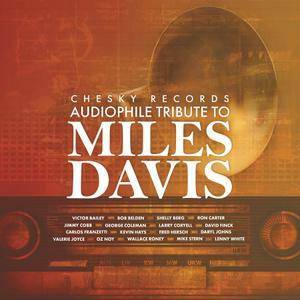 Chesky's vision has been realized with this super band of all star jazz musicians. The restless composer has had one hand in jazz, one in classical. Here he brilliantly blends the two, adding ethno-folk into the mix. 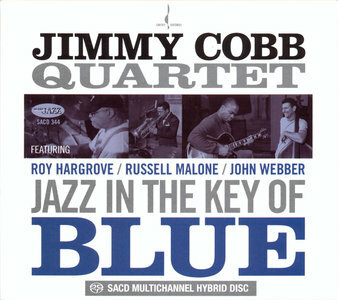 Musically audacious, and one of the finest recordings you'll ever hear, period. Monty Alexander's virtuosity was apparent from an early age, learning to play by ear at 4. 70 years on, Alexander's talents have continued to grow and evolve, resulting in three of the most inspiring recordings in the Chesky catalog - The Good Life: The Music of Tony Bennett, Calypso Blues: The Music of Nat King Cole, and Caribbean Circle. 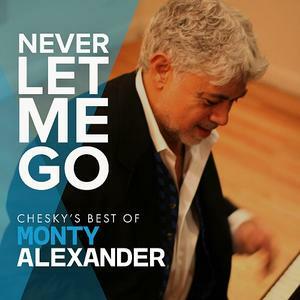 Never Let Me Go: Chesky's Best of Monty Alexander serves as an auditory tour of some of Monty's finest moments on Chesky Records. If you're new to Monty's material, prepare for excellence in its purest form. 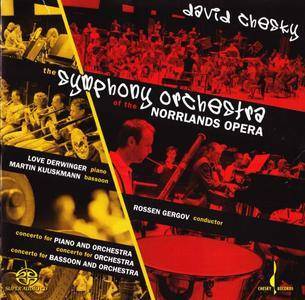 Composer David Chesky has two full length albums planned later in 2015, one orchestral and one jazz. 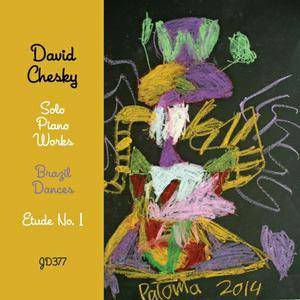 In preparation for these, enjoy a small taste of David's works with this mini album featuring his three Brazilian Dances for solo piano as well as his Etude No. 1 for solo piano. Both works emanate from David's compositional style, a combination of 21st century harmonies paired with South American rhythms. Ten mostly ballads, played in a super-relaxed fashion and reproduced with a realism in hi-res surround that fulfills the label’s slogan. 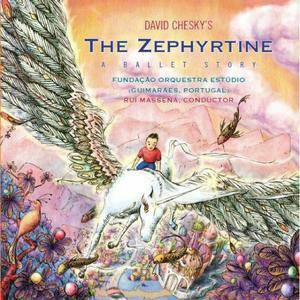 Rui Massena conducts the Fundação Orquestra Estúdio’s recording of David Chesky’s fantasy for children The Zephyrtine ballet. The characters throughout the ballet are represented by specific instruments; the two main characters, Ben and the Zephyrtine, are voiced by the piccolo and the French horn. The Zephyrtine is a wonderful adventure that revolves around a little boy from Vermont, Ben, who meets a magical Zephyrtine and journeys to the enchanted land of Eudora. Eudora is a Utopian society where people are different colors, red, blue, green, and yellow! Vegetables are not grown instead built in factories, ice cream grows on trees, and fish fly. When the Blue Princess is captured by Ib the monster, it is up to Ben to rescue her and save the kingdom. Children are taken on a thrilling journey where they learn the importance of friendship and accepting cultural diversity.